In many situations determining the fact if human is under the influence of any stimulants (fi. alcohol or medicaments of any kind) can be crucial. The knowledge of how those stimulants (activators) influence the human motion and in what way, is of a great importance. Images of five markers situated on a moving person are analyzed. 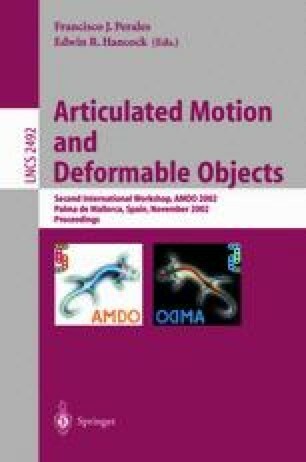 The vector of features characterizing the image of a marker (marker motion) is calculated and than compared to the reference vector. The reference vector describes the motion of a person not influenced by any stimulants. The features parameters calculated in the proposed method are: moments, kurtosis, skewness, normalization coefficients, moments coefficients, coefficient of the main axis of the region, orientation angle and 7 Hu Invariant Moments. The analysis of presented parameters is efficient enough to detect the existence of stimulant and to determine the exact kind of the stimulant applied to the examined person. Furthermore, the proposed method can specify the approximate amount (dose) of the stimulant.